Here is the Dodge HEMI HOOD Ram Truck Hood decals Vinyl Graphics. If you have been searching for the best 2009-2014 2015 2016 2017 and now 2018 Dodge Ram Stripes, then you came to the right place, because Fast Car Decals have the best deal around for Dodge Ram Vinyl Graphics, Dodge Ram Decals, and Dodge Ram 1500 Hood Decals. Dodge Ram 1500 Hood Decals and Ram 1500 Decals are in Stock! We never skimp on quality at FastCarDecals.com. 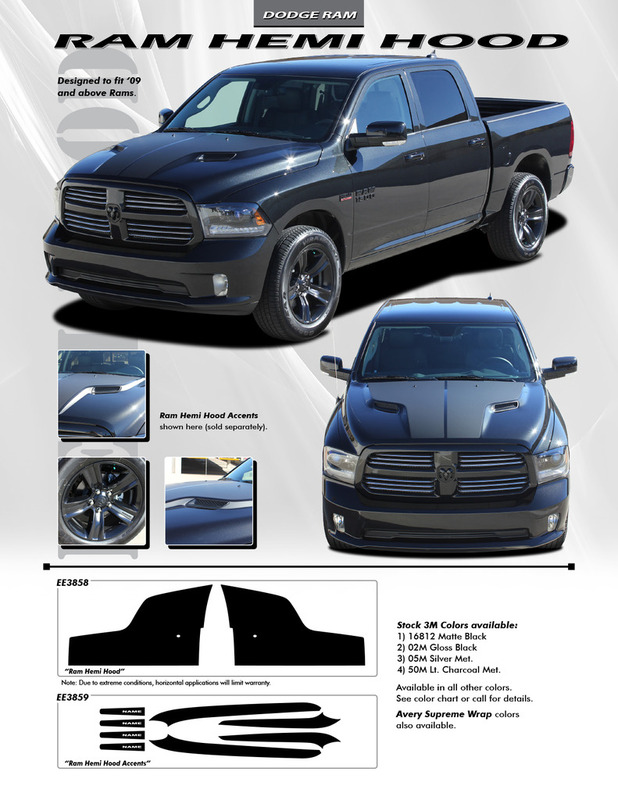 Every one of our top quality Dodge Ram fender stripes is precision cut from the same high grade vinyl that is used by professional stripe installers and Dodge dealerships. YouTube Video for Tips Installing Our Stripes.